At Ceridian, we create innovative technology that organizations around the world use to attract, develop, manage and pay their people. Our award-winning solutions help our customers manage compliance, make better decisions, build great teams and drive engagement with their employees. Ceridian has solutions for organizations of all sizes. 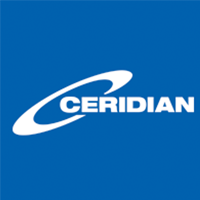 Ceridian. Makes Work Life Better™. For more information call 1-877-237-4342 or visit www.ceridian.ca.